This fully illustrated atlas and well-referenced text provides a comprehensive guide to brain imaging in newborn babies using ultrasound. The volume is unique because it includes examples of normal and abnormal appearances, illustrated from pathological specimens and diagrams of standard views, accompanied by full discussion and advice on prognosis. 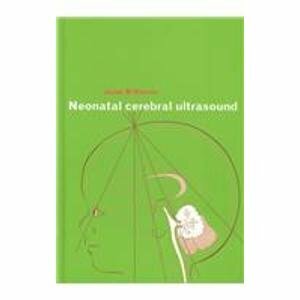 It also provides an introduction to the physics of ultrasound imaging and Doppler, advice on choosing equipment, guidance on ultrasound safe practice and the care of ill babies during scan examination. Advice on the value of Doppler examination of blood flow in the arteries is included, along with a guide to the prognosis of intracranial injury. The volume will be an essential source of reference and guidance for all who work in neonatal intensive care and for radiologists and radiographers. This fully illustrated atlas and well-referenced text provides a comprehensive guide to brain imaging in newborn babies using ultrasound. The volume will be an essential source of reference and guidance for all who work in neonatal intensive care and for radiologists and radiographers.